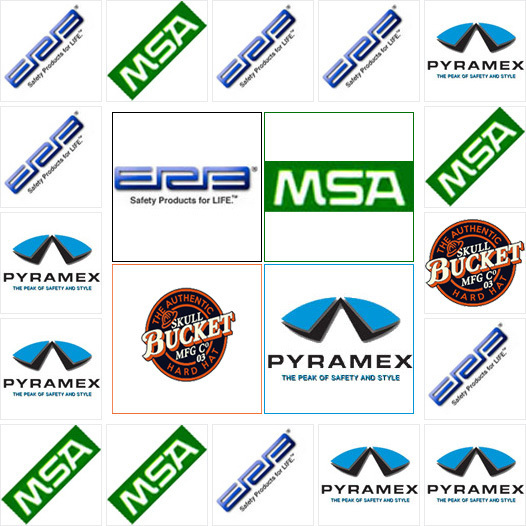 We carry safety helmets from several well-known brands, and many of our best products are made by ERB, Pyramex and MSA. We also stock a huge selection of team safety helmets, which are covered with stylish, high-quality graphics. 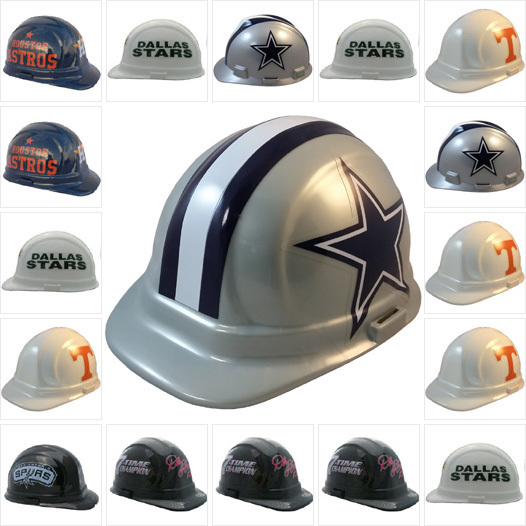 Since we carry helmets for most teams, you should have no trouble finding something to represent your favorite team. 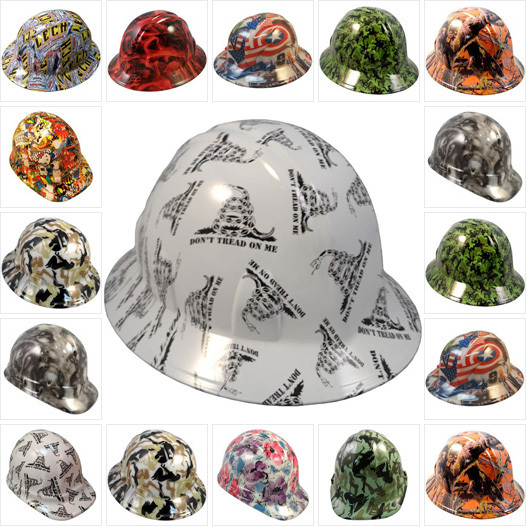 Some worksites require additional protection, and we carry the full-brim helmets that you need to stay safe. If you don't need a full brim, you might consider our cap style helmets, which offer extra protection in the front. For hot summer conditions, we carry Occunomix cooling shades, and if you don't need a full shade, we have attachable sun visors. For increased visibility, consider our blinking light attachments, and we even carry Omega II safety helmets that glow in the dark. 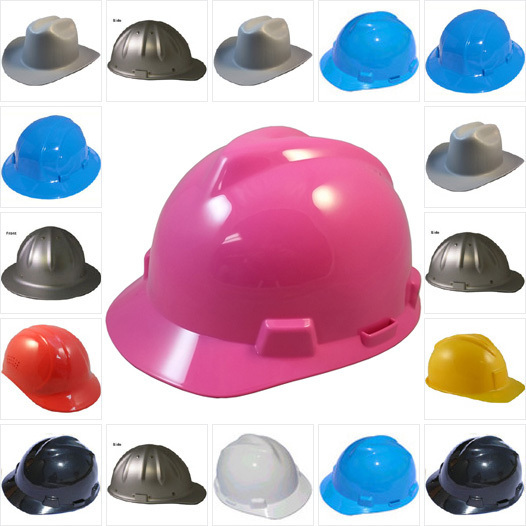 Your Safety Supplies carries child novelty hats, sweatbands, hydrographic helmets, welding helmets and sport safety helmets. You'll even find several different types of replacement liners and universal adapters. 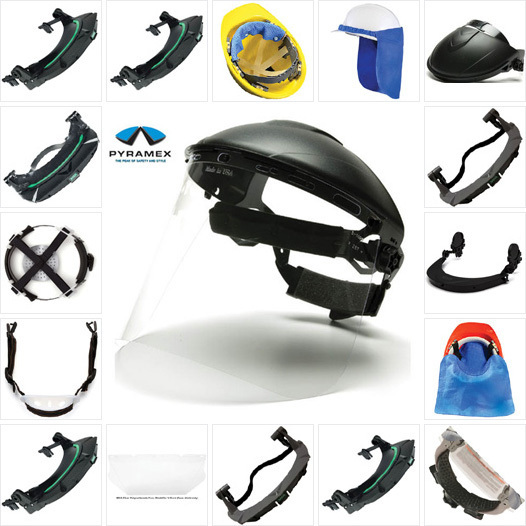 The head protection that we stock is great for safety inspections, construction, oil drilling, logging, demolition and firefighting. 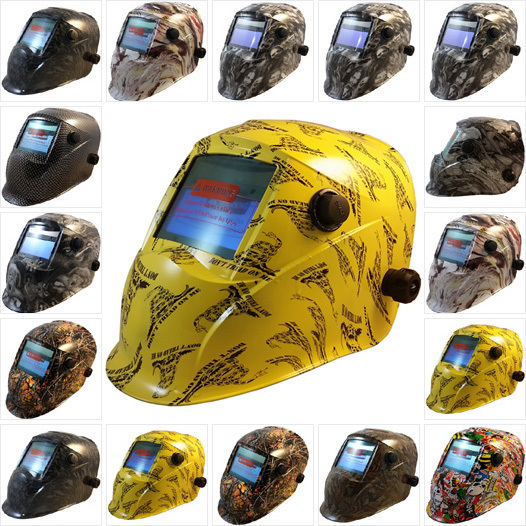 Many of our basic Omega II helmets are available in several colors, and if you want something fancier, we have a wide variety of hydrographic safety helmets, which are covered with stylish graphics. By selecting one of the subcategories, you can browse everything we have to offer and find exactly what you need.